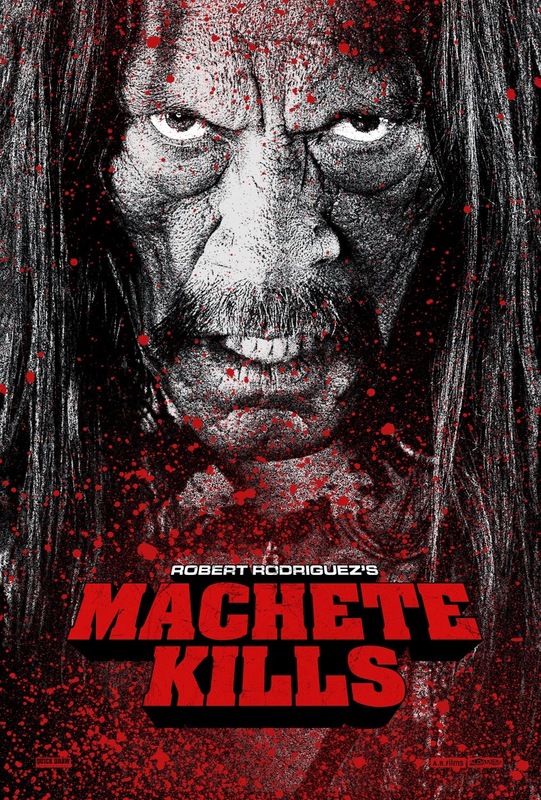 Fans of the original movie will love the absurd premises and characters, filled with bloody gore in Machete Kills. Director Robert Rodriguez does a great job in mastering the B movie format of course if that's your taste in genre. Personally, while at times entertaining, the ludicrous plot was just too much for me to follow and enjoy. Borrowing heavily with ideas from other movies like Miss Congeniality to Star Wars to Austin Powers, you get a lot of scenes that you've probably seen before albeit it with more body parts flying. The star studded guests adds to the fun of this type of movie from Cuba Gooding Jr. to Lady Gaga. All of which are fantastic at their roles. Danny Trejo back as Machete does a great job of basically looking mean the entire film. Charlie Sheen, ahem, I mean, Carlos Estevez is hilarious as the President. Mel Gibson as the main villain Voz on the other hand... not very impressive. Machete Kills besides full of action and bloodshed is definitely more for the male audience with all the pretty young actresses like Amber Heard, Vessa Hudgens and Alex Vega (pictured below). Overall, I would only recommend this film to fans of Grindhouse or Machete. While a well done movie overall for what it is trying to achieve it is definitely not for everyone. Fans of this type of movie will probably give it a higher rating. I have to admit though I am curious as to what will happen next in the third installment which they provided a trailer for in Machete Kills Again... In Space!